Will centralised waste disposal work for Punjab? Safe waste disposal is a big challenge for the national sanitation overdrive. Punjab has been experimenting with centralised systems to tackle this. Has it worked? 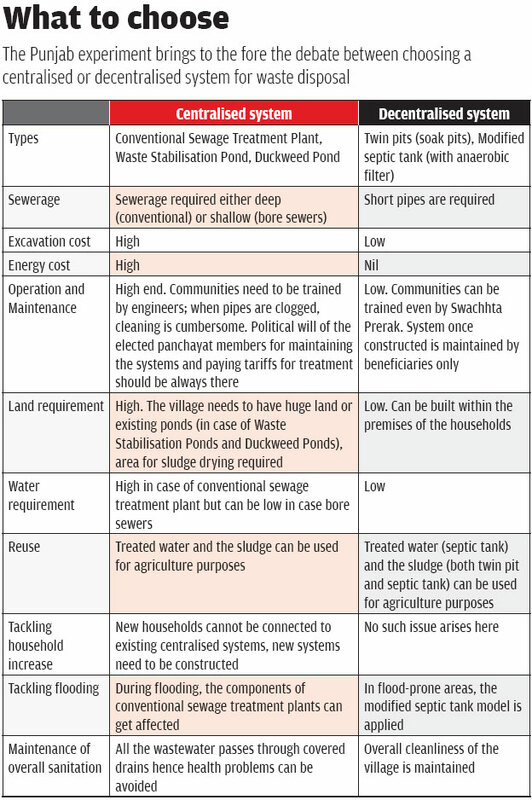 WHILE STATES in different ecological regions of the country are struggling to get suitable designs for systems to treat the solid and liquid wastes coming out of their toilets, Punjab has tried to tackle the problem in a different way. For over a decade, the state has been experimenting with both centralised and decentralised waste management systems to make access to sanitation tenable and safe. While the state’s 86 per cent households have access to toilets now, it inevitably emerges as the first port of call to check whether the challenge of safe waste disposal has been tackled effectively as envisioned. The state government’s Department of Water Supply and Sanitation (DWSS) has been collaborating with the World Bank (WB) to set up a range of waste management systems to adequately meet the demand in face of fast increasing number of toilets. The centralised systems developed under this collaboration include conventional sewage treatment plants (STP), Waste Stabilisation Ponds (WSP) and Duckweed Ponds. The sewer connection to these treatment systems are conventional sewer and solid free sewer (also called small bore sewer) carrying the liquid waste under gravity. A district is allotted one of the above systems depending on local ecology and needs. For example in Muktsar district that has water logging problem, WSPs were suggested. “This is because enough land was available and it is a low cost-low energy system,” says Amrit Deep Singh, sub divisional officer, Public Health and Engineering Department, Muktsar. While districts like Ludhiana and Amritsar were suggested to set up STPs because the socio-economic condition was favourable. In 2006, the state got US $154 million from WB. The project ensured water supply system and sanitation systems including community-based small bore sewerage system. In 2015, WB again gave US $248 million for similar work in the state. Punjab has already declared 50 per cent of its districts open defecation free (ODF). “We had constructed a toilet and made a connection with a sewerage network long back in 2007,” says Rutpreet Kaur, a 35-year-old resident of Balade Vala village in Bhatinda. All the 60 households in the village had toilets. But disposal of waste was a big issue that the new project fixed. The village got a centralised system of waste-water treatment. The sewer carried waste-water to a common pumping station from where it goes directly to a WSP. This pond, developed on a common village land, is over one hectare and is divided into six parts for complete treatment of wastewater. In the district six other panchayats also adopted the same technology after a feasibility study and availability of common land. “The first pond of WSP reduces the organic content and the overflow moves to the next pond. 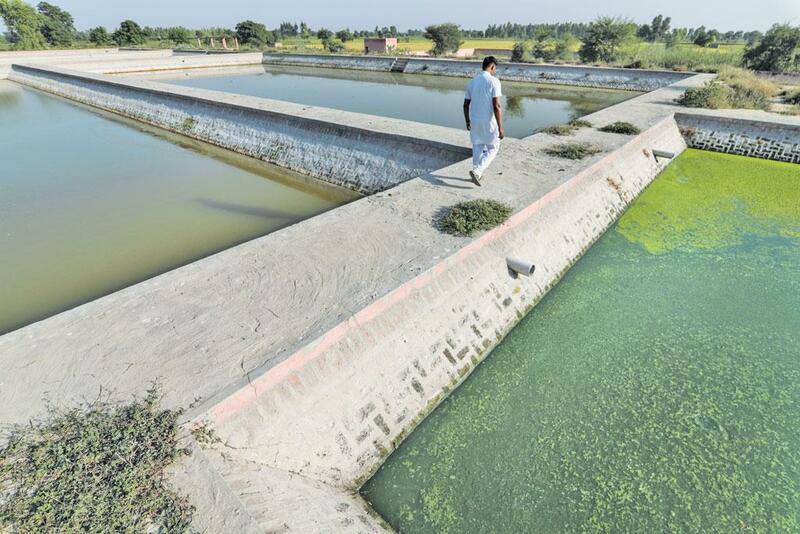 The process continues until the water reaches the last compartment where it is disinfected and becomes useful for agriculture,” explains Amandeep Brar, sub divisional officer, Public Health and Engineering Department, Bhatinda. But from here starts the most challenging phase of the experiment: how to sustain it. “Installing the plant costs Rs 2 crore. To begin with, a contractor looked after the operation and maintenance as a part of commitment to the government till 2015. But afterwards, when the panchayat took over as per the plan, it faltered,” says Brar. The village panchayat asked the residents to pay Rs 60/month as the cost of maintaining the system. But gradually payment stopped and now the system is not functional. This is where the Punjab experiment is at the doorstep of the nagging problem that the Swachh Bharat Mission (SBM) has been enduring without much success. Prime Minister Narendra Modi launched SBM on October 2, 2014 with one of the main objectives being that of making the country ODF in five years. The new programme prioritised usage of toilets and solid and liquid waste management which had taken a back seat in previous sanitation programmes. Officials in Punjab admit the experiment though desirable has its limitations. 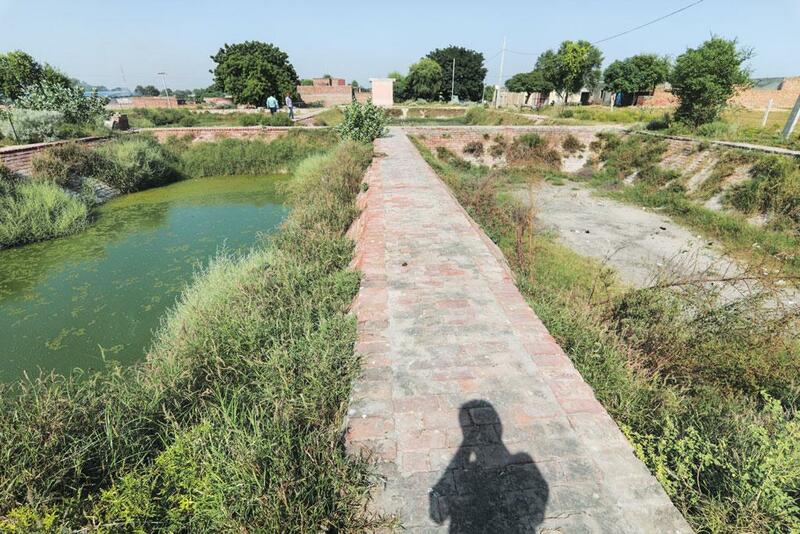 Rajinder Singh, junior engineer (sanitation), DWSS, Bhatinda, says that the waste-water treatment system was imposed in a “top-down” manner without the involvement of the community. Hence people are not aware of the facilities of the system and also there is a lack of ownership. “In many waterlogged areas of Muktsar, a modified septic tank with anaerobic chamber is installed and adopted by the residents under SBM. The wastewater from the toilets enter the first chamber of septic tank where sedimentation takes place and then the overflow moves to the chamber having anaerobic filter where organic material is degraded,” says Sunaina Kohli, Zila Swachh Bharat Prerak, volunteer working for SBM. “This provides on-site and economical option that requires minimal maintenance,” adds Kohli. Rajinder points out at another problem that also seems to be a challenge for Punjab’s long fight to make sanitation safe. He says that the waste management system has failed as the number of households in the above village has increased by more than seven folds. Rajinder adds, “The blocking of the systems happened as plastics, solids from cattle shed and kitchen waste entered the bore sewers through the intercepting chambers which connect the households to the centralised systems. The small bore sewers are used here for conveyance of the wastewater from the households to treatment systems, which are thin and have a diameter of maximum up to 150 mm.” Anil Kumar, assistant engineer, DWSS, Muktsar suggests a way out. He says that each village has at least one traditional pond which can be revived to act as WSP for new households, hence this system can be effective even if the number of house-holds increase. The challenge of maintaining and running a seemingly expensive system haunts most of the panchayats. The officials of DWSS at Muktsar are skeptical whether the new WSP systems coming up in their blocks under the WB scheme will be sustainable. Bhagchari village panchayat is one of the four panchayats in Muktsar, where the WB and DWSS have worked together. Kumar says, “WSP of Badal village panchayat is a standalone example, as the continuous support and maintenance has been ensured to sustain the centralised waste-water treatment.” In other places, this model has failed, perhaps due to lack of interest and commitment among local administration and communities. The question of proper operation and maintenance is inseparable from the functionality and economics. As no direct benefit is seen by the communities, they disagree to pay the cost. The liquid-waste management in the rural areas is basically decentralised in the form of single pit, twin pits, soak pits and septic tanks. Punjab thought differently and opted for centralised systems. But operation and maintenance of the system has proved to be a burden on the communities and the only reason for failure in most cases. To get the best of the centralised system, the state should implement it in a bottom up manner by involving the beneficiaries in every step. This story was first published in the November 1-15, 2017 issue of Down To Earth magazine under the headline "Punjab's contrarian approach".